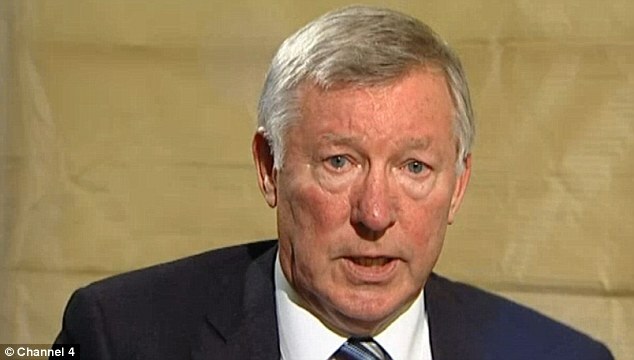 Not many interviewers leave Sir Alex Ferguson rattled but Channel 4 presenter Jon Snow gave the former Manchester United manager a going over. 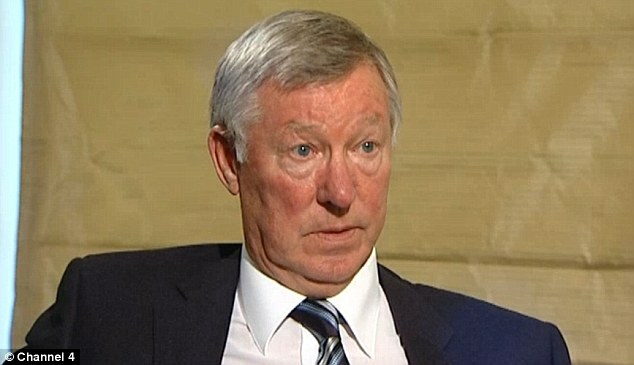 Ferguson, who launched his book My Autobiography on Tuesday, was left squirming on occasion as Snow quizzed him on matters ranging from his agent son Jason, his feud with the BBC and his ‘Stalinist’ regime at Old Trafford. But it was a question concerning his political beliefs and working for the Glazers which got Ferguson most worked up. Snow asked how he squared his left-of-centre, Labour-supporting stance with working for the Americans whom he claimed the ex-United boss had called ‘rampant capitalists’. The Scot looked uncomfortable as he vehemently denied this, telling his interviewer to ‘get his facts right’. Snow also pushed Ferguson on the amount of debt the Glazers had lumbered United with. The video and full transcript of this fascinating interview on Channel 4 are below. JON SNOW: Sir Alex, how different would this book have been had you not been a director at Manchester United? 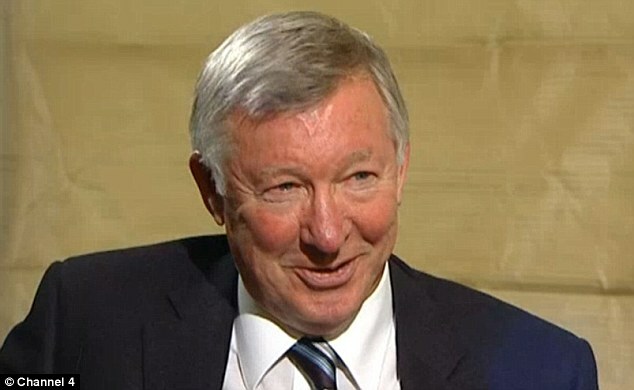 SIR ALEX FERGUSON: I think it’s difficult to do a book in the sense of the long period I was there, 14 years. My last book was in 1999 but 26-and-a-half years at the club means that I’ve had to deal with issues throughout my career but I maintain that control is vital to the manager of Manchester United, whether it’s Sir Alex Ferguson or somebody else. That control when dealing with star players, millionaires, players with celebrity status, some with great egos, it has to be controlled to be successful. The book is very controlled, it’s not like 1999. In 1999 you were quite tough on Mr Edwards, the man who brought you to Manchester United and in this book you’re very nice to him indeed. With Martin the most important thing was bringing me to the club and supporting me in the early years. Him and Bobby Charlton were solidly behind me, rebuilding the club in terms of the youth side, and by doing that with the youth side we gave the club a fantastic foundation. In a sense I’m balancing the two books, one says one thing and one says the other. I don’t think there’s a great change, really. 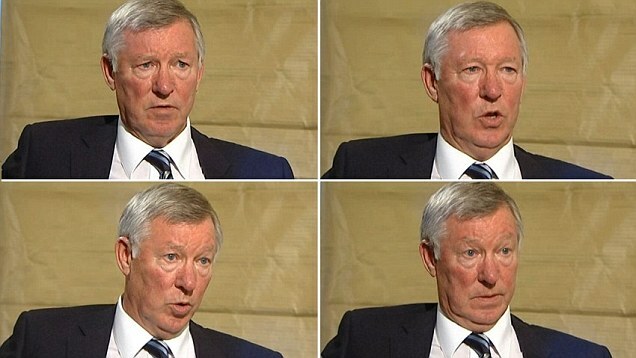 It seems like there’s a softer Alex Ferguson. Have you mellowed? But it softens them up? Yeah. It takes away the work in an individual. I like what you said about Denis Law, a nasty little player, got away with underhand physicality, good at leaving his foot in, arriving a fraction late. Is that the type of footballer you like? I think the game was more like that then, the protection for players today is correct. With the speed of the game today and the condition of the pitches you have to protect the players people want to come and see. The interesting thing about you is you’ve brought on all these incredible stars – Keane, Beckham, Van Nistelrooy – and you’ve fallen out with all of them. And Rooney in a sense. And Norman Whiteside. I never fell out with Norman. Yeah but you have to deal with things as they are at the time. The most important thing about being manager of Manchester United is not losing your control. Manchester United cannot afford for the players to control the club. It wouldn’t be Manchester United. And I’ve said that time and time again to the directors over the years. It’s not all but it’s really, really important. You have to have control if you want to stay in a job. That’s a bit extreme. The control means the players will respect that, they know who the manager is. If it goes the other way they will have a different view of the manager, they’ll think you’re weak and I don’t think I’ve ever been weak. Your handling of the media would suggest you’re weak in the sense that you can’t take the rough with the smooth because you banned a lot of people. You loved to chuck people out of press conferences. Ban that man, then ban the BBC. When you think about it, you’ve no recourse with the press, they can write lies. A lot of the time they’ve written things that are wrong, and lies. What do you do? Report them to your commission? It doesn’t work that way. You develop a thick skin. You seem to demonstrate through your relationship with the media a thin skin, yet you’re a god. People know who you are. Yes but the important thing is that there are certain parts of the media who don’t report things accurately. You banned them, that doesn’t sound like free speech. That didn’t happen all the time and I didn’t hold grudges. Eventually they were all allowed to come back in. Yeah but you had a long grudge with the BBC because they talked about your son. That was a long grudge. On your son, he was part of the furniture at the agencies that were dealing with the club and that wasn’t a good idea. No, he was only an agent for a year-and-a-half. But that’s the bit the BBC concentrated on. If you actually watch it, it was a poor, poor documentary full of paper bags and all that. It was horrible. And you chucked them out for seven years. Yeah, they never tried to apologise. It’s another aspect of control. You have to have some sense of principle. I didn’t enjoy it, it wasn’t accurate and it wasn’t honest. And that’s in a way why you like the Glazers, because they left you with control. They don’t control the club, you do. They’re supporters, that’s the important thing, you always appreciate people who’ll support you. They’ve been very good. Everything I asked for they delivered so what can you do? It’s the right thing to do. You describe yourself as to the left of Labour and yet you describe them (the Glazers) as ‘rampant capitalists’. No, you’re wrong there, no, no, get your facts right. ‘It’s not their fault they’re rampant capitalists, they let me do whatever I wanted’. I didn’t use the words ‘rampant capitalists’, you’ve got that wrong. Anyway, you called them capitalists. You’ve got that wrong again. OK, let’s ask that again. You’re content with the Glazers but they are capitalists and you are to the left of Labour. How do you marry an admiration of raw capitalism with your politics? Because they supported the manager, they supported the club and all the improvements they’ve made. You look at the training ground today, that’s because of the Glazers. It’s probably the best training ground in Britain. Maybe it’s the best thing the club have ever had, producing the medical centre. But they’ve also produced a lot of debt. It’s not easy to sleep with, £400million. Well it used to be £700m. Yeah but with any takeover in football there’s going to be debt. Do you mind the money in football? I think it’s an area… (Michel) Platini’s trying to bring in Financial Fair Play but I don’t know how you control it. But it can’t just go on like this. I don’t think so but that’s why they keep talking about Financial Fair Play. They’re not going to get it. You’ve been a manager, you know the race to get the best players, the battle with the Real Madrids, Barcelona all the rest of it. Money speaks. At Manchester United we can only do the best we can, that’s the bottom line. If we can get to a certain point with a player, particularly with the history of Manchester United and the attraction is always huge. It doesn’t always come down to money, some players want to join Manchester United for the right reasons, for football reasons. Seventy-six thousand people come watching every week, they have a great history of winning things, they’ve a fantastic romance about them and a loyal support. There’s a great attraction. You’ve always been very open about your politics, you support Labour, I think you describe yourself on the Brown side of life than the Blair side, is that fair? I think Tony Blair was a fantastic Prime Minister. 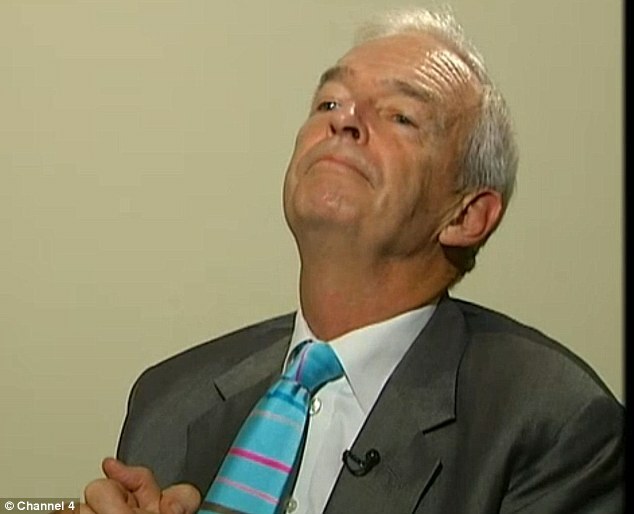 I used to love him on Question Time, I thought he was absolutely brilliant. I’ve always supported the leader of the party, and I do so at this moment, no matter what kind of criticism we’re getting at the moment. Gordon Brown was a fantastic Labour minister. I’m on both sides, I’ve always supported both of them. Both leaders? And you support Miliband now? But when it comes to it do you not think of Labour and of two wars of choice and the banking crisis and the rest of it, are you still as loyal? Of course, it’s in your upbringing. Your upbringing is an incredibly important element to who you are. You should always remember your upbringing. I was fortunate, two working-class parents who both worked and installed in me many disciplines. Of course, as you get older you might be inspired by a teacher or a leader of the Boys’ Brigade when I was there, the Boys’ Club and they inspire you. And as you get older your attitude changes and you are who you are then. I think the foundation and the background to it is the working-class parents. Some people picking up this book will have thought they were going to read something cantankerous, angry, a roustabout but in fact you’re rather mellow in here. Is there another book waiting that will have the explosive edition?